Hello Everyone, I would like to know if the Candle Service Manual (BOO-GRI-CAND) book which is published by The Missionary Independent Spiritual Church is still available. I can't seem to find it on the website. Thank You! The 16-page MISC Candle Service Manual was temporarily pulled off of the web site and shopping cart because it is going into a third revised edition. It will be on sale again very soon. I would be very interested in purchasing a copy of this when it it ready. Good luck! I have been working on the project with nagasiva. It is back on sale NOW. This is very good news. I feel like the re-printing of this will be very beneficial to me and other like me. I am looking forward to doing expanded candle service in the future and think the book would be a lovely informational guide. I look forward to it. Thanks cat and nagasiva! 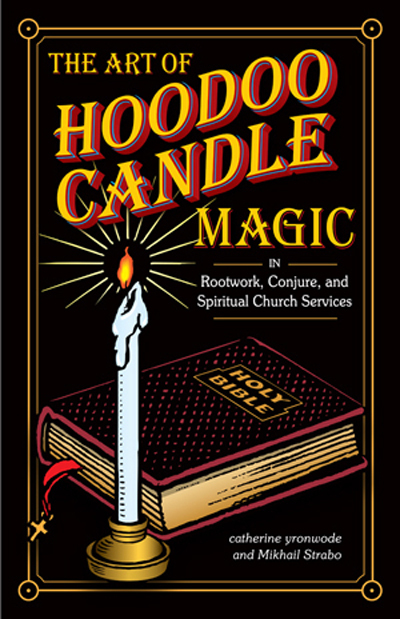 Our old 16-page " Candle Service Manual" booklet, which was published from 2007 through 2012, is now out of print -- but here is the good news: the entire Candle Service Manual has been included in my new 96-page book "The Art of Hoodoo Candle Magic"! The book goes on sale to the public on May 6th, 2013. Very nice Miss Cat, I am looking forward to reading this book. Thank you for all that you do. I'll order a copy when it comes out. Thanks! Thank you Miss Cat. What a great publication to make available for all - a complete guide to candle working has been long overdue. I wish I had known about this book earlier! This is heaven sent! Starcaster: Well, as the book has yet to be published, I'd say you are definitely "in on the ground floor!" I can't wait to order this book. And here I thought this was going to be a separate book! I've been eagerly looking forward to this, but the other content will be equally good, I know. When the book is available, catherine, would you be autographing copies? Hoodoo Swag. This really has to be a band name. A blues band, of course. Mama Micki, yes, i autograph all copies of my own books except for wholesale copies sold through other distributors or via Amazon. This will of course be a paperback book. Any plans in the furture to make a hardcover. Madame Samantha -- nope, i don't do hardcovers of the 96 page books; it's overkill, aesthetically speaking. LOL! Oh eagerly waiting for this book to be out!!!!!! can't wait!!!! I was wondering iming? Will it be out in weeks or months? nena1182004: As far as I know, it will be ready for the Workshops in May, so soon! The book debuted at the May 2013 Workshops. Hi Miss Cat!!! I just receive today my last order of LuckyMojo ....and my new books. I want to thank you to write the amazing book of candle magic and share with the world your experience through each page, soon will become a classic! I'm reading it right now!!! 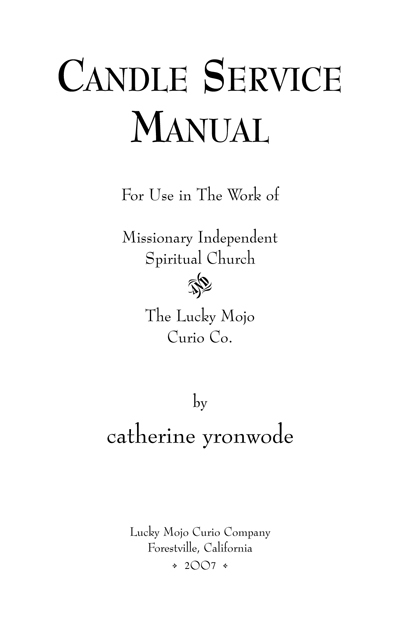 Freshly inspired by this thread, I dipped into the book again, and discovered that it includes, not one, but TWO Manuals of candle service: not only How to Conduct a Candle Light Service by Mikhail Strabo, but also the Candle Service Manual of Missionary Independent Spiritual Church! Each serves a different, and equally valuable, purpose: Strabo's monograph is about how to conduct a Spiritualist candle service for a congregation; the M.I.S.C. manual shows all the work that starts when you call the Mother Church and say, "Set a light for me, please." 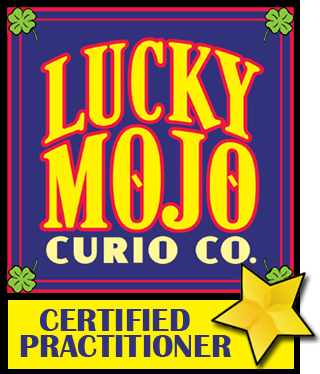 I had no idea there was so much detail involved -- and I've done an apprentice week at Lucky Mojo, right next door, where the candles are prepared! I was looking at the book on amazon as I get free two day shipping, but it's temporarily out of stock. Does amazon have to order it from you first, then get it to me? Is it faster to order it directly from you? The same thing is going on with The Black Folder and Hoodoo Sugar and Honey Spells. Thanks! Please go ahead and order the books from Amazon. They do not stock new, unproven titles in depth until they have many orders. Then they gradually increase the quantity of their orders until they have enough copies in stock to last about two weeks. With these new books, they are only ordering onesies and twosies and have not yet gotten beyond ordering 15 copies at a time. More orders will trip their switch eventually and cause them to order enough to keep the books in stock. catherineyronwode wrote: Mama Micki, yes, i autograph all copies of my own books except for wholesale copies sold through other distributors or via Amazon. 1.) If I understand correctly, on p. 31 of The Art of Hoodoo Candle Magic Book, it explains that if a practitioner so desires, he or she can set fire to the petition paper, as well as to any name papers, at the end of the ritual. Have I got this correct? 2.) It also suggests that the practitioner use a brass dish, placed on the altar, to drop the burning paper in. My question: If a brass dish isn't available at a reasonable price, can a brass incense burner be used instead? 3.) This might seem like a silly question (but i just want to make sure): If using the brass incense burner for this purpose, am I correct in thinking that the practitioner would not line the incense burner with foil, as some people do when burning incense? 4.) On p. 31 of The Art of Hoodoo Candle Magic Book, it also explains that the ashes from the burned-up paper can be mixed with sachet powder, which can then be used as sachet powder is usually used in Hoodoo workings. Another question: If a particular working where the petition papers and name-papers are burned at the end of the ritual, doesn't involve the use of sachet powder, can the ashes then be ritually disposed of along with the spell remains, such as leftover candle wax, etc., (in the manner appropriate to the specific working: at crossroads, in running water, etc.)? 1.) Yes. This is sometimes done, especially when the petition is not ongoing. 2.) Of course. However, on page 9 of the book, i do suggest that bowls be separate from incense burners. I have no idea what a "reasonable" price is to you, but i can buy used brass bowls in Northern California thrift stores and flea markets, as well as on Ebay, for anywhere from $2.00 to $10.00 each. For instance, today on Ebay (June 16th, 2013) the cheapest "used brass bowl" for sale was listing at $1.99 plus $4.00 shipping. The next-lowest was at $2.99 plus $3.45 shipping. The third lowest was $1.95 plus $4.95 shipping. All of them were beautiful and serviceable. 3.) I do not recommend lining incense burners with foil. See page 9 of the book. I recommend sand as it is a heat-sink, whereas foil is a heat-conductor. 4.) You may do as you like with the ashes. The suggestion to mix them with sachet powders was stated for the convenience of those people who practice hoodoo candle magic within the larger context of traditional hoodoo rootwork, in which working with powders, dirts, and dusts is an important method of laying tricks. Thank you very much catherine, for your very informative reply. Thanks Ms. cat. Will do! Sorry if these additional questions seem tedious. I’m pretty new to Hoodoo, and there’s a lot of stuff I don’t know about Hoodoo. 5.) For beneficent work, what can the practitioner do with the target’s photo after the ritual is completed, if the practitioner doesn’t have need to keep the photo? I know some people burn the photo if it’s enemy work, and that some people keep the photo if it’s not enemy work. But, if you don’t need or want to keep the target’s photo after the ritual is completed, and it is not enemy work, can you burn the target’s photo at the end of the ritual, without harming the target? Or is burning the target’s photo only done for enemy work, if the photo is of an enemy? 6.) Should a practitioner line the brass incense burner or brass dish/brass bowl with sand when using this brass burner/dish/bowl for burning petition papers and name-papers? Or should you only line it with sand when using it to burn incense? Should a practitioner line it with sand regardless of what (incense, papers) is being burned in it? 7.) For free-standing candles: When using a petition paper and name-paper, should the practitioner also inscribe the candle(s) with the spell request and target’s name, or only do one or the other. In other words, should the practitioner either create a petition paper and name-paper, or inscribe the candle(s) with the request and name, but not do both? Or should the practitioner do both: Create and use the petition paper and name-paper, as well as inscribe the candle(s)? One or the other (papers or inscribe), or, both (papers and inscribe)? I had one or two other questions regarding some of the information provided by this book, but, I can’t remember these other questions at the moment. I’ll probably post again when I remember. I hope these questions aren’t too confusing. Information is appreciated. Thanks for your attention. And thanks to Lucky Mojo Curio Co. for making this informative book available. "Laying Down Tricks and Disposing of Ritual Remains"
6) Line it with sand regardless. Thank you for taking the time to reply to my post, catherine. I appreciate the information. I have been wanting to order a copy. Also, I love the cover. This book is dense with knowledge and amazing information. It is never out of arms reach. I refer back to this book quite often. An absolute necessity for any candle worker! Thank you Miss Cat for another amazing book! In the book on page 26, it talks about "In the old days,most candles were white or tan,"
I recalled this because recently I needed a green candle and did not have one. In a pinch can i color a candle....with a food coloring dye? or a marker, finger paint...etc....? What did they do in the olden days? Probably what your grandmother did! Colored altar cloths can help with your petitions also. Especially when they have prints of thee same theme. I'm not sure if you want to melt the candle down and then use candle wax dye. Lots of history and not enough room to give you details. Water-based food coluring will not do anything to a candle -- oil and water don't mix. You can dip a white candle in melted coloured wax, or roll it in such wax. You can even "paint" it that way, using the melted wax as a paint. Aida's idea about a coloured altar cloth is neat. But the point about the old days was that back when coloured candles did not exist, no one felt they were missing anything by burning a tan or white candle. Well it took me a while to track some older family members in the "old country" and ask about candle magic/rituals and yes my grandmother did use a paint to dress the candles...she got it from her brother and my uncle, back in the 60's, my uncle and "grand uncle" (if that is correct term). now we both agreed that we never saw a green, blue, purple, or orange candle...but remember, red, pinkish and even yellowish candle.......and of course white.......she also sugested that maybe they might have use nail polish but i never saw/remember a small bottle while my grandmother did that. The good thing about this is that I have started talking to family across the water and she has been interested in the "old ways" (call it hoodoo, candle magic but we call "costumbres" in spanish)..and are statring to share info.....i hope one day i able to share the things i learn here at LMC for all.. In May, 2014, the Second printing of The Art of Hoodoo Candle Magic went on sale. This is a popular book, and we will, of course, continue to reprint whenever we get low. Thanks for your support for this title! I am so pleased to own a second book autographed by miss cat! I hope my question belonged here and not on the general candle thread. On page 31 it says at the end of the candle rite, the petition paper may be retained for a continuation of the rite at a later date. If I did that and kept burning candles on the petition one after another, would the spell start manifesting after the first candle was done, or only start manifesting after I decided to dispose of the petition paper as a ritual remain after a number of candles? For example I found it very helpful to do a Blessing +Bewitching candle spell on my ex but the effect wears off after a while and I have to redo it. Can I make it an ongoing spell to maintain the effect by recycling the same petition? Starting the spell with a candle will get that energy out there, so the work begins with the first candle. Adding more candles in a run, as you describe, keeps the work going. So if you have a long-term goal, then a candle run would be appropriate using the original petition. Watch for signs and movement, as always. In February, 2016, the Third printing of The Art of Hoodoo Candle Magic went on sale. This is a popular book, and we will, of course, continue to reprint whenever we get low. Thanks for your support for this title!